Oaxaca If the only book you had ever read about Oaxaca was Oliver Sacks,’ Oaxaca Journal from 2002, as I had, you would have a sense of the environment, particularly ferns along the mountain sides at the edge of the desert, and perhaps the world-renowned culinary scene, but you would miss the fact that this city is so much more than a tourist mecca. Oaxaca came to my attention more prominently, and much of the world’s, for the prolonged teachers’ strike that began in 2006 and continued red hot for years. There was an encampment of the teachers on Avenida Reforma in Mexico City that I visited several times on visits there. For progressives and organizers, Oaxaca has been a destination city, so it was exciting to drive there from Mexico City. It’s not a short pull. 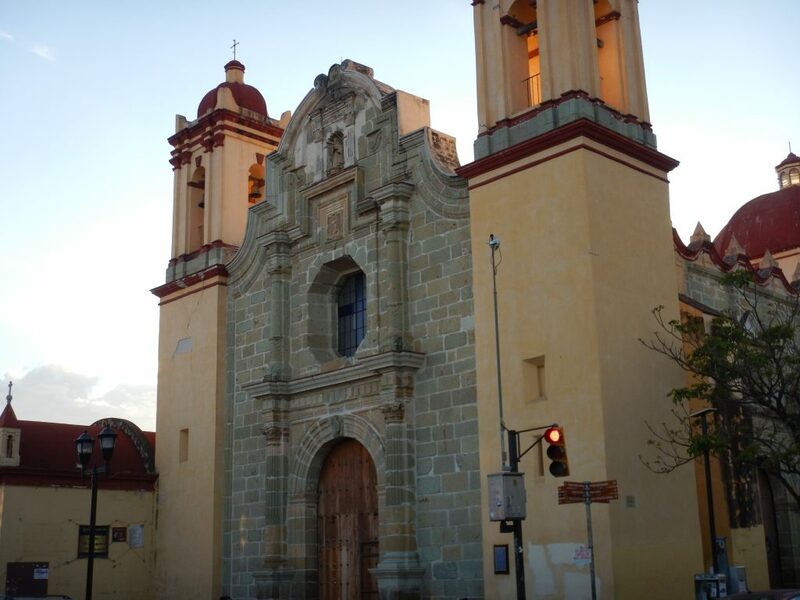 It took seven hours driving once the delays for toll booths and traffic accidents are taken into account, but the drive from Puebla to Oaxaca is amazing through the southern edges and foothills of the Sierra Madres. Tall cactus and yucca to pine trees, including one pine variety with downward drooping clusters of needles that was so unique it was startling. 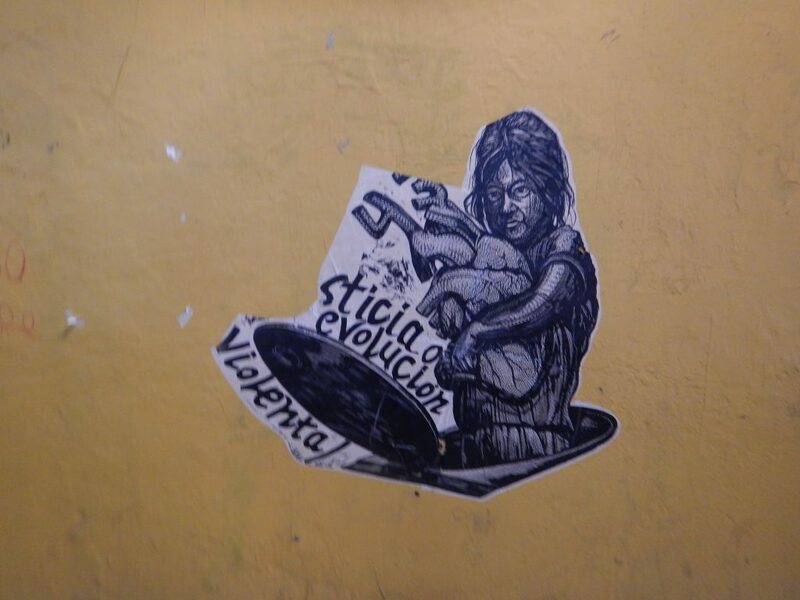 Political struggle seems to come naturally to Oaxaca. As you enter, there is a statute of Benito Juarez, the revolutionary leader and still only indigenous president of the country, who was born in this state, but the history of struggle goes back to the beginning. The city symbol includes a representation of Donaji, a Zapotec princess, who was decapitated as a prisoner of the Mixtec, which is a pretty dramatic way to highlight your town, but that’s not the whole story. During the conquest, the city had to struggle constantly with the conquistador Hernan Cortez for independence from his authority as the Viceroy of Spain until in the mid-16thcentury they were able to obtain some rights though constantly contested. When you walk through various city streets the graffiti is almost invariably political. 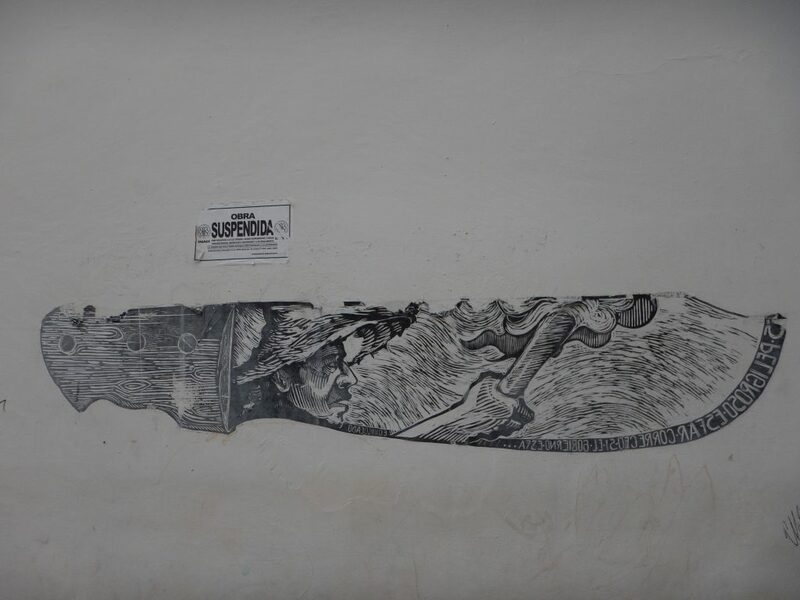 ASARO, the Assembly of Revolutionary Artists of Oaxaca, is well-known for its dramatic and pointed posters and presentations in the zocalo and in support of peoples’ movements in the area and more widely. The fight when they began was against a now deposed state governor who had reduced wages for the teachers and rolled back social assistance. Reading Getting Up for the People: The Visual Revolution of ASAR-Oaxaca, is a great look at their background. The way art and culture support and intertwine with political work is important to understand. We’re looking forward to learning more while we’re here. 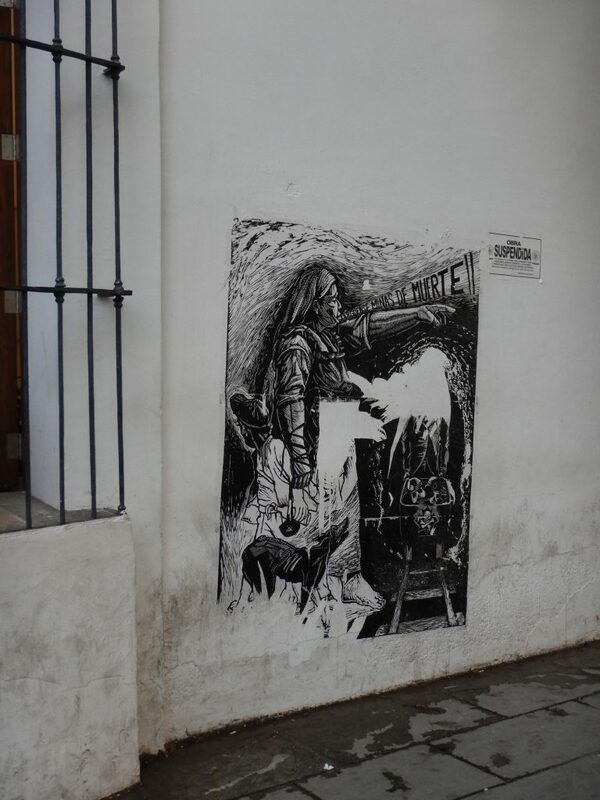 This entry was posted in Ideas and Issues and tagged Oaxaca, political art, Street Art by Wade. Bookmark the permalink.